State tax regulators are cracking down on independent merchants who sell their products tax-free on Amazon Marketplace. That effort could push some Amazon sellers out of business or off the website, threatening the marketplace that has become a pillar of Amazon’s retail empire. A chapter in Amazon’s long tax saga closed this spring when the online retailer began collecting sales tax on purchases in all 45 states that have one, long a goal of the e-commerce giant’s brick-and-mortar rivals. 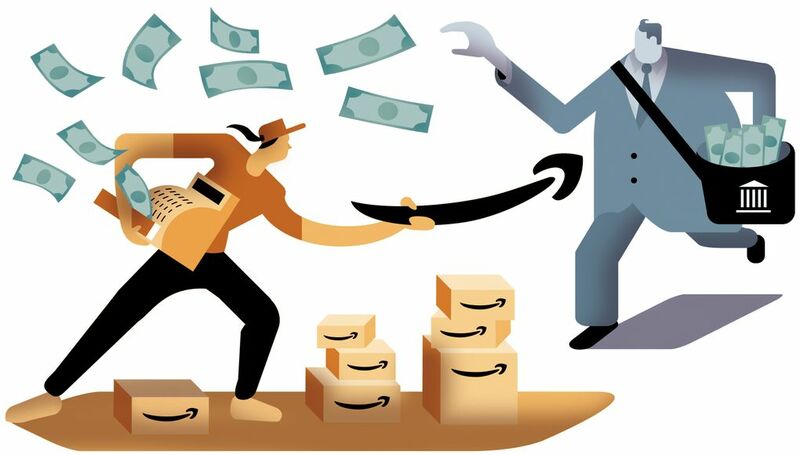 But another chapter has opened, because while Amazon handles sales taxes on purchases from its own inventory of goods, it’s up to third-party merchants selling on its marketplace to tally and send in their own sales-tax payments — and many aren’t doing it. 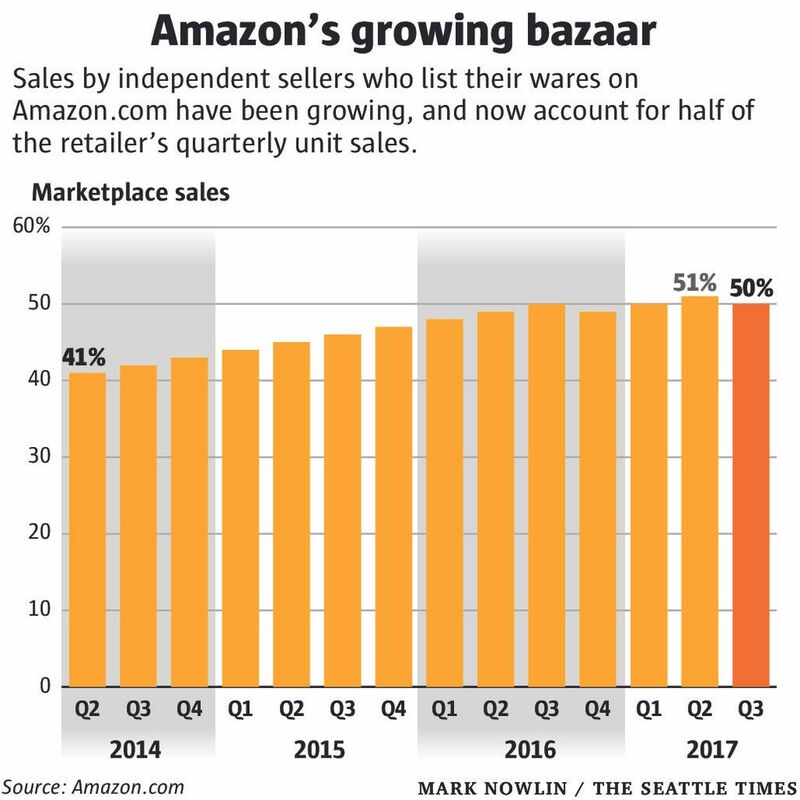 Amazon Marketplace, which rents space on Amazon’s website to independent merchants, is an increasingly important part of Amazon’s retail empire, accounting for half of the company’s sales. The program has more than 2 million sellers and, Amazon says, has minted thousands of small-business success stories. A group of state tax authorities, the Multistate Tax Commission, is trying to nudge Amazon’s sellers to start paying up. They’ve set up an amnesty program for sellers on Amazon and other online marketplaces that would wipe out their back taxes if they start to tax future sales. Only about 700 of the 45,000 Amazon sellers that the tax commission estimates have significant tax liability signed up by the Wednesday deadline, the group says. Some sellers say the cost of registering with tax authorities and the paperwork required to remit taxes in dozens of states would wipe out their modest profits. They’re willing to take the risk of state tax audits to keep the status quo. Others point the finger at Amazon, contending that the Seattle company is the de-facto seller and should be responsible for sales-tax bills. Amazon, which declined to comment on the record for this article, has for years voiced support for national legislation that sets a uniform sales-tax regime on internet sales. The company likens its marketplace to a mall or farmers market, where individual stall operators are responsible for collecting and paying their own sales and income tax, and says its marketplace sellers’ agreement makes that clear. Regardless of who is responsible for tax payments, consultants who advise Amazon sellers warn of a crackdown by authorities seeking to tax a greater share of online sales. That, they say, could push some sellers out of business, threatening the marketplace that Amazon Chief Executive Jeff Bezos calls a pillar of the company’s business. Taxes, and the competitive advantage of not paying them, have factored into Amazon’s thinking since the company’s founding. A 1992 Supreme Court decision related to mail-order catalog sellers determined that states could compel retailers to collect sales tax on purchases only if those sellers had a significant physical presence — or “nexus” — in the state. The ruling was applied to internet sales, and it is part of the reason that Bezos moved to little Washington state to found what became Amazon.com. The company would have to pay sales tax only on sales within its home state, and Washington, with just 2 percent of U.S. residents, seemed ideal. (The nexus rule itself, widely viewed as out of date in the internet age, is being challenged by South Dakota, whose appeal to the Supreme Court has drawn support from 35 states — including Washington — and the District of Columbia). Amazon for years tried to preserve the online discount it had over sales-tax-bound brick-and-mortar booksellers, arguing that subsidiaries and distribution centers in the U.S. didn’t create a sales-tax nexus in those states. As states sought more tax revenue after the financial crisis that began in 2007, and growing e-commerce sales became an appealing target, tax authorities fought back. The company eventually gave in, state by state, until this year, when Amazon began collecting sales tax nationwide on items purchased from its own inventory. Amazon does not automatically collect taxes on items sold from the third-party marketplace, however. In documentation online for sellers, Amazon offers to calculate and collect sales taxes on behalf of the merchants, but it’s a service that’s not required. Few sellers use it to collect taxes on sales outside their home state, consultants say, and when they do, registration and payment of the taxes is still their responsibility. Amazon benefits when its sellers do well. On top of fees to join the marketplace and use Amazon’s warehousing and delivery program, third-party sellers pay Amazon an 8 to 15 percent cut of their sales on most items. If third-party sellers list their products tax-free, it gives them — and by extension, Amazon — a competitive edge over taxpaying brick-and-mortar retailers. The tax-free edge can be significant. For instance, a 64GB Samsung Galaxy S8 smartphone from Amazon’s own inventory was on offer this week to ship to Seattle for a total of $690.30, including $63.32 in state and local sales tax. The same model, listed on Amazon.com by an independent seller called ShopMonk, can be had tax-free for $626.98. That’s not how many states look at it, though. Richard Cram, who works for the Multistate Tax Commission, traveled to a popular conference for Amazon sellers in Las Vegas in March. He was there to deliver some bad news: The sellers in the audience probably owed a lot of sales tax. Items included in Amazon’s inventory through FBA are eligible for free two-day shipping and other guarantees, perks that Amazon says boost sales. Outside analysts estimate that most Amazon Marketplace sellers participate in FBA. But because the program stores sellers’ inventory in Amazon’s far-flung warehouses, it creates an in-state nexus for the seller. (Users of Amazon rival eBay don’t encounter this issue, as they hold their own inventory). A few DVDs sitting in Amazon’s Aurora, Colorado, depot, in other words, trigger sales taxes on purchases by the Tennessee DVD seller’s customers in Colorado. After Cram laid out that case in Las Vegas, he was approached by several sellers who told him they wanted to get on the right side of the law, but were worried back taxes and penalties would put them out of business. Cram’s organization, a group of state tax officials who coordinate policy across state lines, devised a program to get sellers up-to-date without bankrupting them. The states had a fall deadline in mind, to secure the tax boost associated with peak holiday sales. The result was the Online Marketplace Seller Voluntary Disclosure Initiative. Under the pact, 24 participating states and the District of Columbia offered amnesty for taxpayers who faced in-state liability because of Amazon’s FBA or a similar setup at Walmart.com. The Multistate Tax Commission initially offered a two-month window to apply for the amnesty, but many sellers balked, saying that wasn’t long enough to make such a crucial business decision. The group voted last month to extend the application window by two weeks, to Nov. 1, but still, less than 2 percent of the sellers estimated to have significant tax liabilities signed up for the amnesty offer. One seller in Washington, who requested anonymity out of fear of retaliation by Amazon or state tax authorities, says getting set up to pay sales tax in the states in which his business has a nexus would likely cost $30,000 in registration fees and employee hours. Complying, he says, would force him to hire a full-time employee with tax expertise. Another seller in the Southeast, who specializes in home-improvement goods, said he decided to apply for amnesty in two states that account for most of his sales, and risk audits in the rest. “This creates this enormous burden of licensing and record keeping,” the seller said. Others are less sympathetic. Amazon’s warehouses give sellers the ability to tap into a logistical machine they would never have access to on their own. Some marketplace sellers look at their relationship with the online giant and contend that taxes on Amazon’s platform should be the company’s responsibility, pointing to features that put it at the center of the e-commerce transaction. Amazon, for example, processes payments, can destroy seller inventory it believes to be counterfeit or hazardous, and bans third-party sellers from sending marketing materials to previous customers. “I have practically zero interaction with the customer,” the Southeast-based FBA seller said. Paul Rafelson, a corporate tax attorney who is helping to organize a campaign to advocate for Amazon sellers, looks at it differently. “What Amazon has done is structured a supplier relationship to make it look like a retail relationship,” he said. He argues that existing tax law likely makes Amazon liable for marketplace sellers’ taxes. A handful — including Washington state — have passed laws that require online marketplaces like Amazon’s to collect or report tax on behalf of sellers. That’s a task Amazon is already required to complete for individual marketplace users in the European Union. 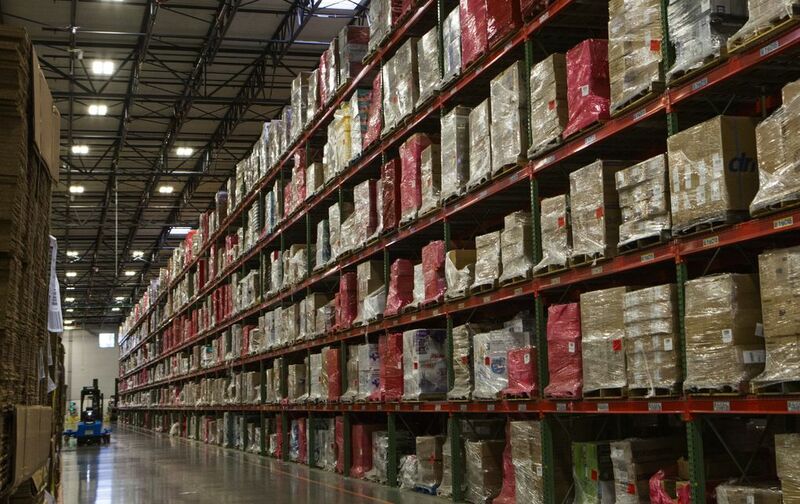 Washington state lawmakers have estimated that untaxed e-commerce sales by remote sellers will cost the state $353 million during the fiscal year beginning in July. Nationwide, that figure is thought to be in the billions. Washington’s law, which takes effect in January, is one of the most aggressive tests of what states can ask of marketplace owners like Amazon and their sellers. “If Washington state is successful, I can all but guarantee you other states are going to copy provisions of it to level the playing field,” said Max Behlke, director of budget and tax policy at the National Conference of State Legislatures. Amazon hasn’t addressed such laws publicly, but the national tax legislation it lobbies for — on the table but stalled in the current Congress — could supersede state collection efforts. South Carolina sued the company in August, seeking $12 million that the state estimates should have been levied on Amazon marketplace sellers during the first three months of 2016. Massachusetts, meanwhile, this month ordered Amazon to turn over a list of the third-party sellers who held inventory in warehouses in the commonwealth during the last six years, a move viewed as a prelude to a wider crackdown on back taxes owed by independent sellers.